When New Delhi began to ‘Look East’ some three decades ago its one outcome was a revival of interest in the countries of Southeast Asia. The development of North Eastern India was the defined objective of the new domestic and foreign policies. This region was not very long ago reorganised into seven states, four of them former districts of the old colonial province of Assam, and its relative isolation caused by Partition had been recognised or the overriding factor for its remaining far behind the other states of the Union in economic development and industrialization. Its geographical proximity to Southeast Asia, seen as a key to its fuller and speedier progress, gave that policy, Look East, its broader dimension. 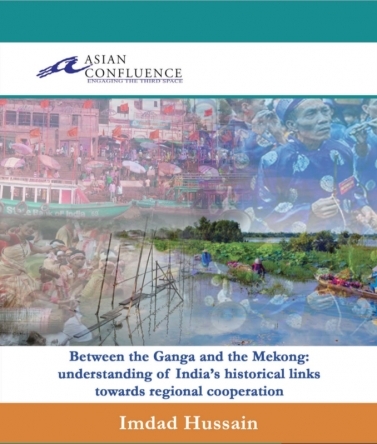 Already there is an increasing tendency among scholars to view the vast region between the Ganga, or more precisely its lower reaches in Bengal, and the Mekong River, more in terms of similarities or commonalities rather than of differences. That process began with the movement and settlement of peoples of Indian origin in Southeast Asia, induced by trade or to spread a faith, since the early centuries of the Christian era, and even before that. Even before that there had been prehistoric tribal movements from the south, into India’s north east.